Small - $44.99 Only 2 left! Medium - $44.99 Only 2 left! Large - $44.99 Only 5 left! X-Large - $44.99 Only 3 left! Wait a second! 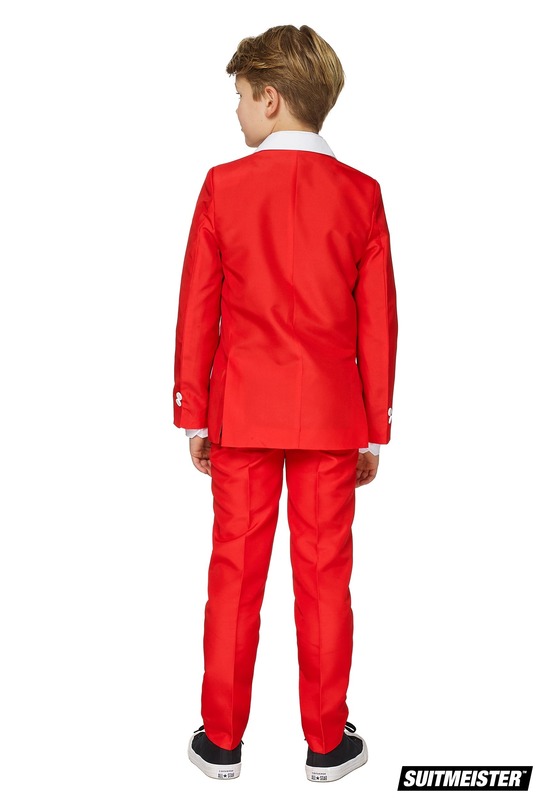 This boys Santa suit, by Suitmeister, will help any child feel ready to take charge of Santa’s Workshop. Once they suit up in this outfit… Santa Claus better watch out, because there will be a new toymaker in town! This kid’s suit takes inspiration from the classic Santa outfit! The jacket is a festive red color, with faux pockets on the side. It features white buttons, lapels, and pocket flaps to help continue the Christmas style. The matching red pants continue the business-savvy style and the finishing touch comes in the form of the tie, which fits with a hook and loop fastener in the back. It’s certainly a more modern look than that of the current Santa Claus in the North Pole. 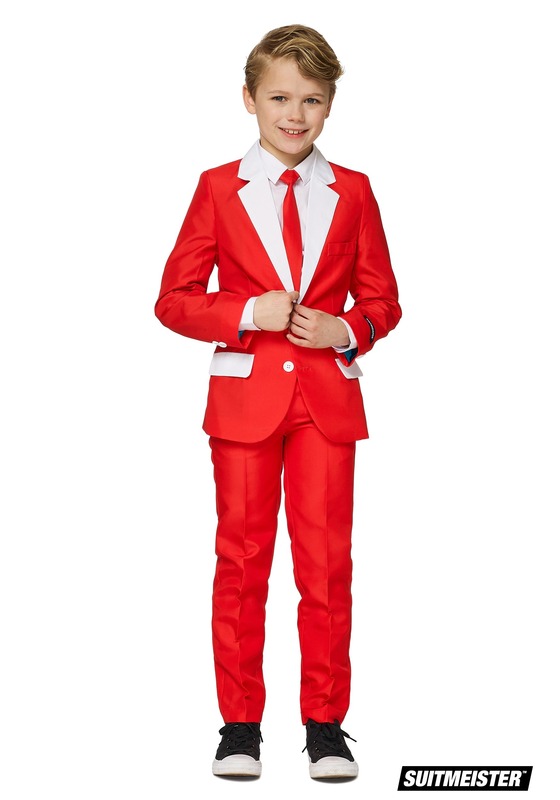 This Santa Suitmeister suit isn’t just for young, aspiring Santa Claus types. It also doubles as a dapper look to wear to family Christmas parties. It pairs well with a red stocking cap to create a look that will make your child the instant star of any holiday gathering.